Bonito is dried fish which is a popular flavour in Japanese cuisine. 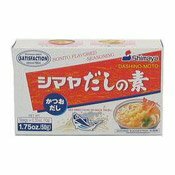 Simply add this instant stock to boiling water with noodles, mushrooms and chicken for a hearty Japanese soup. 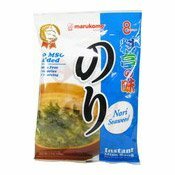 1 Dashi sachet (5g) with 1 litre water makes 4-5 servings of miso soup base. Once opened, consume as soon as possible. 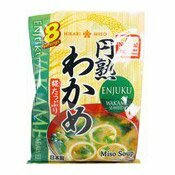 Miso Soup (8-10 servings): 8-10 cups of water. Additional Ingredients: Miso, Salt. Chige (4 servings): 5 cups of water. Additional Ingredients: Soy Sauce, Red Pepper. 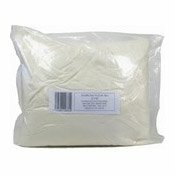 Hot Noodle (3 servings): 5 cups of water. 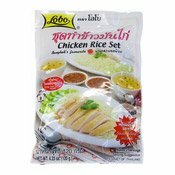 Additional Ingredients: Soy Sauce, Salt. 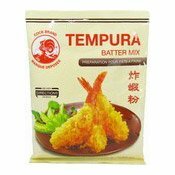 Ingredients: Glucose (From Corn Starch), Food Acid (E621), Salt, Dried Bonito Powder (Fish), Bonito Extract (10%), Flavour Enhancer (E631), Sodium Guanylate, Yeast Extract. 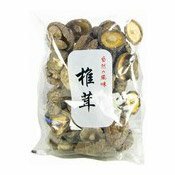 Simply enter your details below and we will send you an e-mail when “Bonito Seasoning Soup Stock (日本鰹魚湯料)” is back in stock!